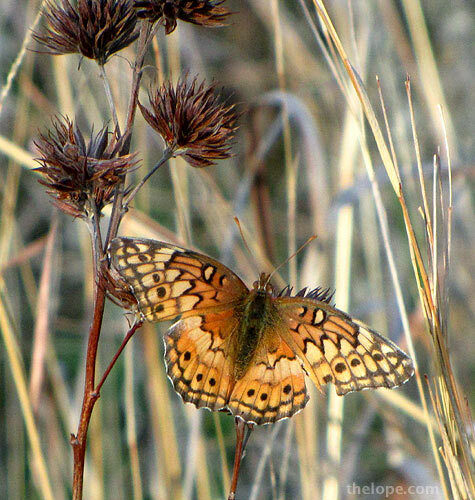 A Common Variegated Fritillary (Euptoieta claudia) lounges earlier this week at Sand Hills State Park in Reno County, Kansas. The butterfly has a wingspan of about 2 1/2 inches and flies from May to September. It's larvae eat weeds. 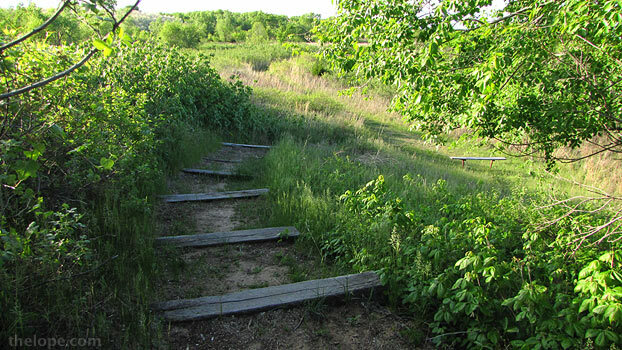 A prominent feature of the park is this hill toward the south end in the prairie area. It's a fine place from which to watch meteor showers. 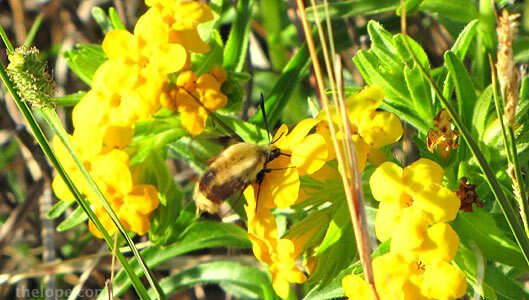 At the base of the hill an insect feeds on a flower. 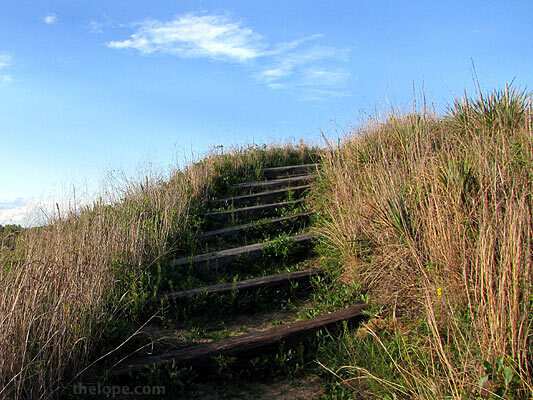 Descending on the other side, I am struck by the overwhelming green of the place. Later this Summer it will be accented with many shades of brown and rust. 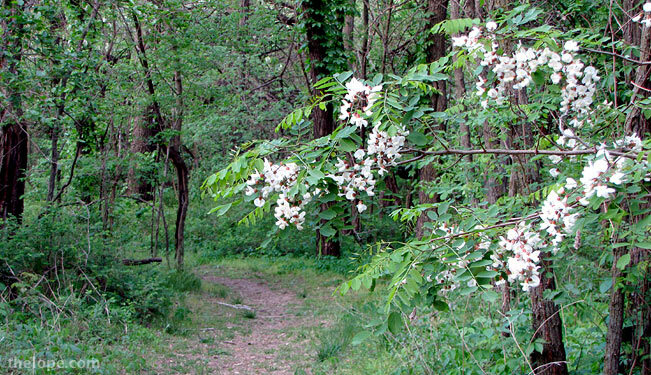 There are also flowering trees as you enter the wooded north end of the park.